The Ware for November 2018 is shown below. Thanks to phantom deadline for sharing this ware! I enjoyed reading up about it. This entry was posted on Friday, November 30th, 2018 at 9:54 am and is filed under name that ware. You can follow any responses to this entry through the RSS 2.0 feed. You can leave a response, or trackback from your own site. So far I found that the PMI part is probably an op-amp OP37 with 1826-1349 being a HP part# and leaving 9449 as a date code. PMI (Precision Monolothics) was acquired by Analog Devices in ’90 according to wikipdia. “Coil” suggests it’s a driver circuit for an automotive fuel injector? The DIP socket probably holds the low-impedance driver IC, which would be prone to damaged and may need replacing. I think socketed DIP ICs are rare things in automotive electronics. A 14-pin DIL in the socket (obviously) and a TO-66 (the slightly smaller sibling of the TO-3) in the middle with the case mounted to the holes with the rivets and the two pins sticking through the non-plated hole and possibly connected to the slightly tarnished pads. And something has been desoldered from the three pads on the left. The two large plated holes in the center suggest an analog meter mounting to me. A dashboard gauge ? Perhaps a tach ? This seems to resemble a current loop transmitter circuit, e.g. for use in a PLC sensor environment, or perhaps the old teletype serial communication loops. 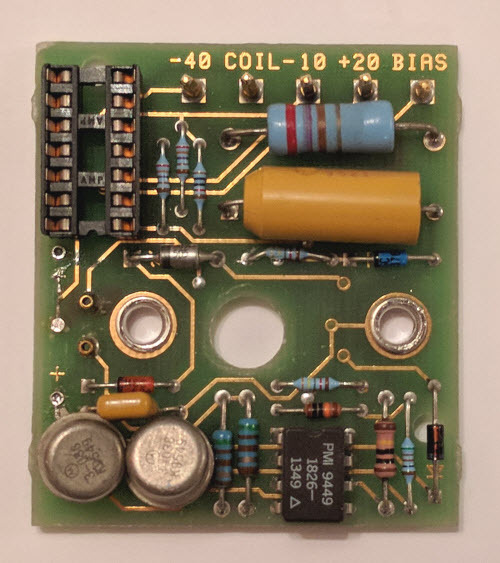 I’d guess this is PCB board off a YTO (YIG tuned oscillator), unsure of the exact HP model number. If so, this board would usually provide bias filtering, and this one looks to have part of the driver circuit as well. HP sometimes used ribbon cable interconnect terminated in a DIP header for the YIG control interface, search e*ay for HP 5086-7268 to see a typical YIG driver (not this one) with a ribbon cable control attached. 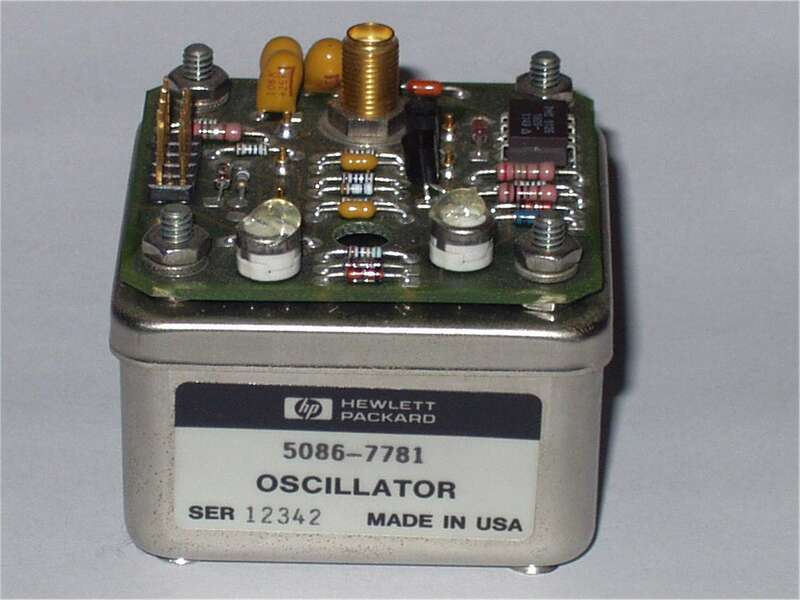 This article (http://www.kerrywong.com/2018/05/10/hp-8566b-spectrum-analyzer-yto-unlock-repair/) on the HP 8566B confirms that it is a “A20 YTO [YIG-tuned oscillator] driver” board. Looking at pictures of YIG oscillators on Google shows a lot of similar looking boards.